Julie, from White Lights on Wednesday, is no stranger here on My Favorite Finds. She and I were partners in setting up the Grow.Swap.Share blog swap last spring, we take turns sponsoring each other’s blogs, and she’s a faithful attendee at Must Try Mondays. So, there was NO reason why she shouldn’t be the first cohost of Must Try Mondays! This girl can do some serious awesomeness with food….and what I really love is that she is known for spiking her baked goods with a little alcohol now and then :). In fact, I think one of her first recipes I pinned was her Guinness Gingerbread. I love Alton Brown. He’s brilliant, has great recipes, and I love learning why food works the way it does (see: the science of cooking). When I tried his Baked Alaska recipe for my blog’s 1st birthday, I had so much chiffon cake leftover. Far be it from me to waste cake. I grabbed some heavy cream I had left over from a pasta recipe and the cake and got to work. The vodka in this recipe really adds something special and an unexpected flavor component. This cake is so light and airy, and a burst of chocolatey happiness in your mouth. All you have to do is get to baking! Preheat oven to 325 degrees F. Spray a 9″ x 13″ baking sheet with non-stick cooking spray and line with parchment paper; set aside. In a medium mixing bowl, whisk together the flour, baking powder, and salt; set aside. Place the egg yolks and 5 ounces of sugar into the bowl of a stand mixer and whisk on high for 2 minutes, or until the mixture becomes pale yellow and ‘ribbons’ when lifted. Add the water, vegetable oil, and vanilla and whisk to combine. Add the dry ingredients and whisk just to combine. Transfer the batter to a mixing bowl while you whisk the egg whites. Place the egg whites and cream of tartar into a clean bowl and whisk on high using the whisk attachment until it becomes foamy. Decrease the speed to low and gradually add the remaining ounce of sugar. Increase speed to high and continue whisking until stiff peaks form. Transfer 1/3 of the egg whites to the batter and whisk until well combined. Add the remaining egg whites and fold gently. Transfer the batter to the prepared baking pan and tilt pan to coat until batter is evenly distributed. Bake for 22 to 25 minutes, until a toothpick inserted in the center comes out clean. Remove from the oven to a cooling rack and allow to cool completely. Place mixing bowl and whisk in the freezer for 15 to 20 minutes. Place the vanilla extract, sugar, and cocoa powder in the cold bowl. Stir in about 2 tablespoons of the cream to form a thick paste. Add the rest of the cream and beat until stiff peaks form. Cut three 4″ squares out of the chiffon sheet cake. Brush the cake layers with vodka and allow to soak in for 5 minutes. Place one cake square on a serving plate. Top with whipped cream. Repeat layers until all cake is stacked and topped with whipped cream. Cover sides of cake with whipped cream. Dust top with cocoa powder. Are you interested in co hosting Must Try Monday? I’m happy to have you! Email me or leave a comment for more details. 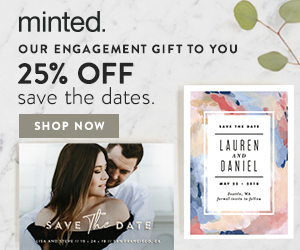 Now….it’s your turn! Let’s see what Must Try recipe you have for us today! 1. 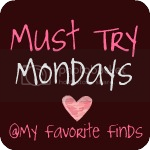 Include a Must Try Monday OR a text link back to My Favorite Finds. It's a great cake Carrie! Very well known and LOVED around here. Your cake looks like a chocolate cloud… so light and delicate… beautiful. I've never tried spiking a cake before! I love whipped cream frosting, though – I bet it tastes amazing! Thanks for hosting! Have a great week…. Thanks for hosting! That cake looks delicious! That cake looks soooo scrumptious. I love Alton Brown as well. This week I'm sharing a recipe for Low Carb Pumpkin Pie. It's great for those who must limit their sugar/carb intake or for those who need to be gluten free. The pecan nut pie crust is delicious and adds a nutty/buttery flavor. Hey Carrie!! Thanks so much for hosting! Enjoy your week! I'm so glad everyone is loving my cake. AB all the WAY! Haha. Let's be honest I have a crush on boozey desserts. They're too fun. And chocolate cloud is pretty much the perfect description. The cake is really light and wonderfully chocolaty.